Baselworld organizer MCH Group has updated and lowered its 2018 forecast based on declining interest in certain events. Declines affecting several of its fairs have caused MCH Group, which organizes Baselworld, to lower its forecast for the 2018 financial year. The group anticipates a negative result prior to special measures of CHF 14 million or more. 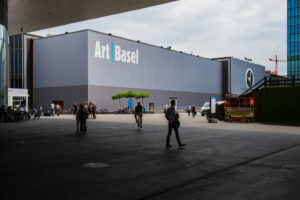 MCH Group attributes the drop primarily to difficulties with Baselworld and its consumer fairs, Züspa and Comptoir Suisse, as well as lower-than-expected final accounts for its automobile show, Grand Basel. It also points to faltering interest in the exhibition and event business country-wide. However, the company’s outlook is not entirely bleak. Three of its events (Swissbau, Art Basel, and Masterpiece London) have performed well, and it has also experienced success with its customized marketing division. Planning is still underway for Baselworld 2019, scheduled to run March 21 to 26.